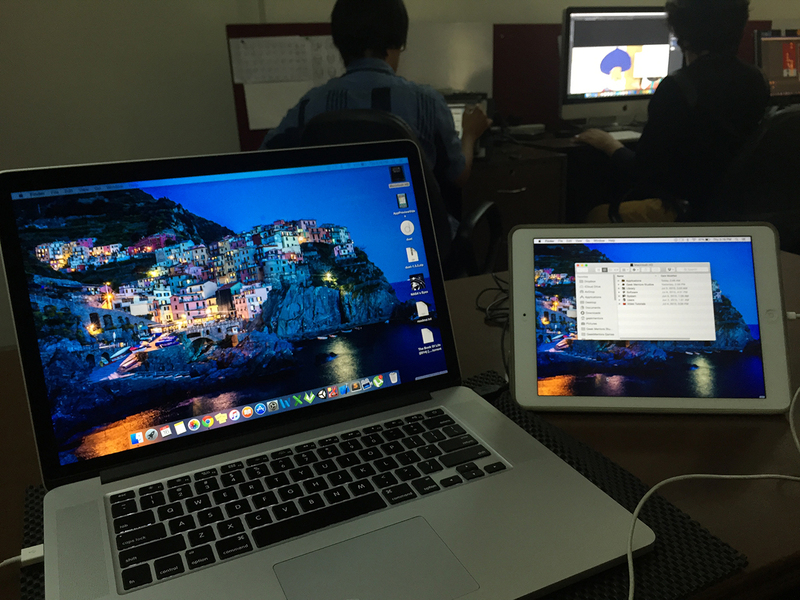 Many PC/Mac owners also own an iPad and Duet App allows using the iPad as an extra monitor for the PC/Mac. Duet App’s team which includes an Ex Apple Engineer is certainly not the first to dream up the idea of using Apple’s tablet as a secondary display for a Mac laptop or desktop. There are dozens of Apps that have existed that make this possible. Some of these apps require Wi-Fi to connect the Mac/Desktop to the iPad, but the wireless connection can not guarantee no-lag performance. This particular problem is addressed in the Duet App, and one reason to solve the problem is it uses your standard charging cable to connect the iPad to the Mac/Desktop. This can be either the current Lightning cable or the 30-pin version for older iOS devices. Setup is very straightforward. 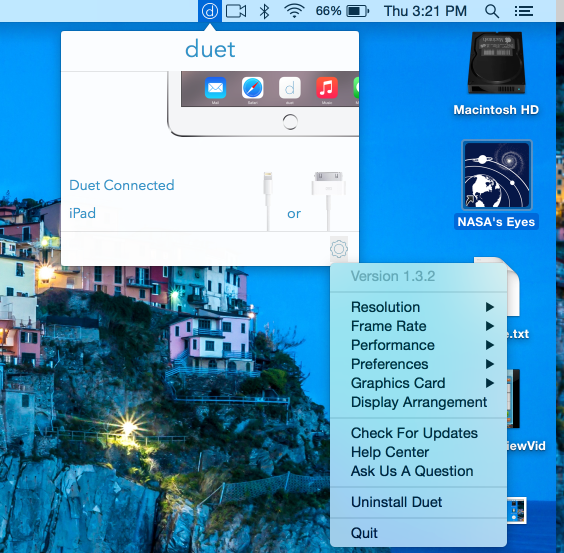 Install the Duet iOS app on your iPad, then install the Mac/Win version of the App which is FREE on your computer. You need to restart your Mac after installing the companion app, which is kind of annoying to me. After the system restarts you’re done. To use your iPad as a monitor, simply connect it to your Mac using a standard Lightning or 30-pin cable and launch the Duet app on your iPad. Within 2-3 seconds, the Mac will automatically detect the iPad and start using it as a second monitor. I am using Late 2014 MacBook Pro with iPad Air and I’ve never see a lag while using it. But I am a game developer and works primarily on Unity 3D, so I bought this app so that I can use it with the Unity with one window open on my secondary display (iPad) to check the logs on console. But Every time I tried to drag a console window from my Mac to iPad it crashed. Every single time. So the app is not usable for me. On a 2012 Retina MacBook Pro, Duet Display’s Retina mode caused a significant amount of cursor lag, rendering the app nearly unusable, and the CPU usage climbed to well over 190 percent. One more issue I found that if I let my Mac go to sleep, it wouldn’t always automatically reconnect to the iPad. Sometimes it did, but most of the time it didn’t. When it didn’t, not even relaunching Duet on my iPad worked: I had to quit both iOS and Mac apps, disconnect the Lightning cable–then relaunch both apps and reconnect the cable.